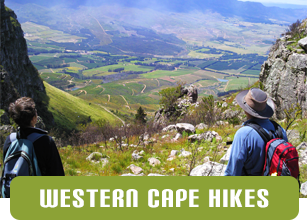 Jonkershoek Nature Reserve is found close to Stellenbosch about an hours drive from Cape Town. Here there are a couple of trails that are absolulely wonderful. 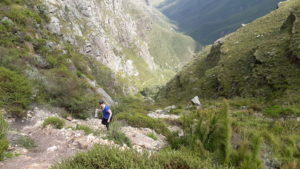 The Panorama trail and Swartsboskloof trail both start at the end of the Jonkershoek valley and share a walk in along the 2 waterfalls trail. The fynbos in the reserve is pristine. 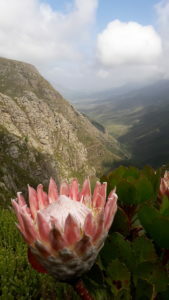 Both pass through pristine fynbos with outstanding views and both bring you back onto the road in the Jonkershoek valley so are circular. Both trails are +/-6 hour hikes for fit hikers and in the summer months it can get very hot so you need to carry plenty of water. 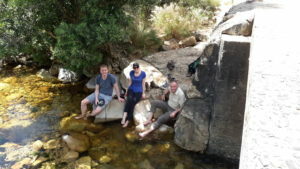 The end of the trails offer some shade and a chance to dip your feet in the cool river before you leave. 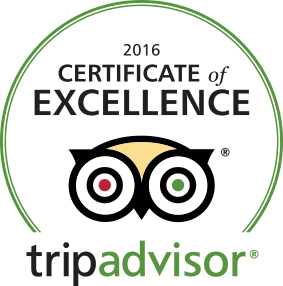 Give ridgway ramblers a call for a guided hike in the area. Really some of the best in the region. 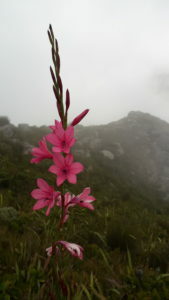 Binny Ridgway was born and bred in the English Lake District, and developed a passion for “the great outdoors” at an early age.Her knowledge of the mountains of the Western Cape and especially that of Table Mountain is legendary, as is her knowledge of the indigenous flora and fauna of the area. 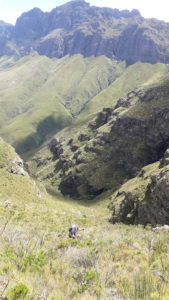 Binny of Ridgway Ramblers offers an amazing hiking experience on Table Mountain! 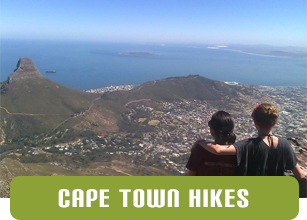 A walk up Table Mountain is a must do if you are a visitor to Cape Town. Binny, the guide was the BEST! I enjoyed this hike so much. I would definitely do it again an I would recommend it to everyone who loves a good hike!!!! We had such an enjoyable experience with Binny. From rock climbing/hiking to site seeing and many fascinating history lessons. Binny seems to know it all. She could tell us every type of plant, species of animal/insect/bug etc. My daughter and I are Canadians visiting beautiful South Africa. Climbing Table Mountain was on our must do list. We both had a great time hiking with Binny. We had a wonderful morning hiking with Binny. She was really knowledgable and shared lots of interesting information. She was very organised - and brought along water, juice, snacks and hats. We would highly recommend her and we would use her again.